\Visit the Hawaiian Islands and Waikiki-Honolulu – home to some of Hawaii’s most historic places, such as Iolani Palace, the Kawaiahao Church, the Hawaiian Mission Houses Historic Site and Archive and the treasured artifacts of the Bishop Museum to iconic landmarks like the Aloha Tower, the King Kamehameha I Statue, the Duke Kahanamoku Statue and the historic Hawaii Theatre. Honolulu is also Hawaii’s hot spot for arts, culture and entertainment. 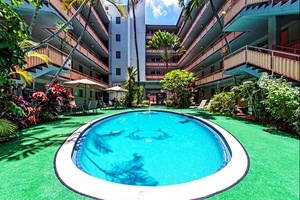 From the nightlife, live entertainment and fine dining of Waikiki to the art galleries and underground bars of the Chinatown arts district. Waikiki, in Honolulu on the Hawaiian Island of Oahu, is among the most visited places in the world. Whether you’re looking for Hawaii’s finest museums, or Hawaii’s finest Hawaii Regional Cuisine chefs, the best resorts, festivals, and events, or just some fun things to do, you’ll find it all in Honolulu – come experience the magic of Hawaii.